Explanation: On January 18 a tantalizing sunset was captured in this snapshot. 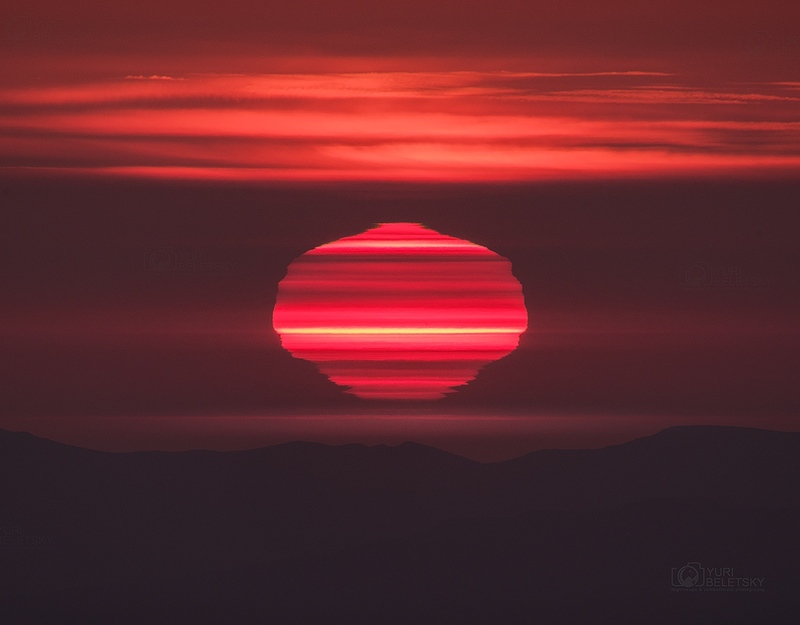 Seemingly sliced into many horizontal layers the Sun shimmered moments before it touched the horizon, setting over the Pacific Ocean as seen from the mountaintop Las Campanas Observatory in Chile. 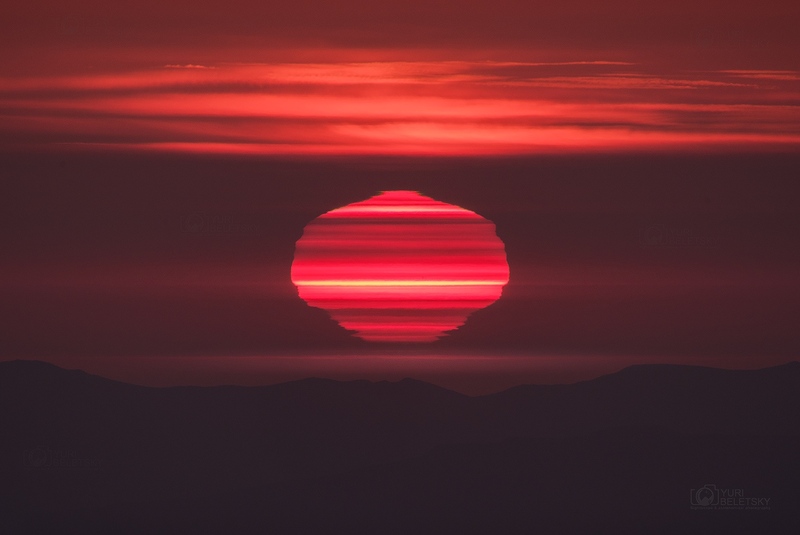 Pink hues of filtered sunlight were created by the long sight-line through the hazy atmosphere. But the remarkable layers correspond to low atmospheric layers of sharply different temperature and density also along the line of sight. Over a long path through each layer the rays of sunlight are refracted strongly and create different images or mirages of sections of the setting Sun.